Discussion in 'UFC Discussion' started by gapwax, Apr 12, 2019. 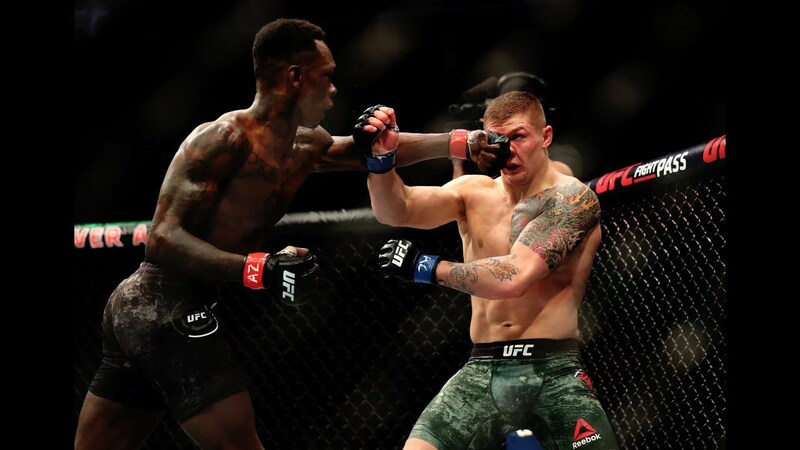 Remember watching this fight and remember Adesanya was talking he would KO flat-footed Vettori. Didn't happen. He outworks and outstrikes Vettori, but the fight was pretty competetive. How do you guys see as the more fluid and powerful striker-Gastellum would deal with the same long reach? some images and short highlight. 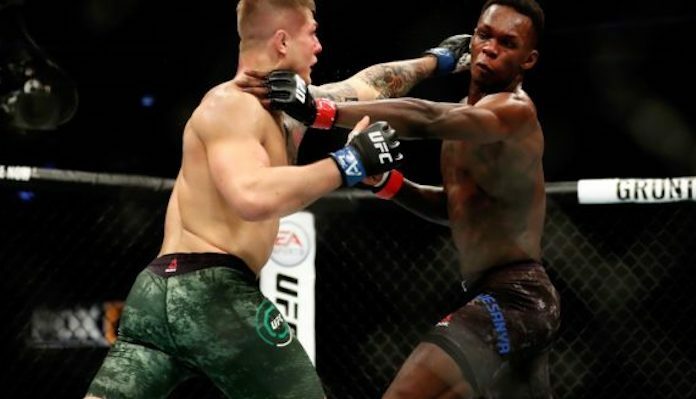 I think Adesanya has potential but he hasn't really impressed me yet. This fight might give me better insight. Kumason, reddhelium, magicmarker and 4 others like this. 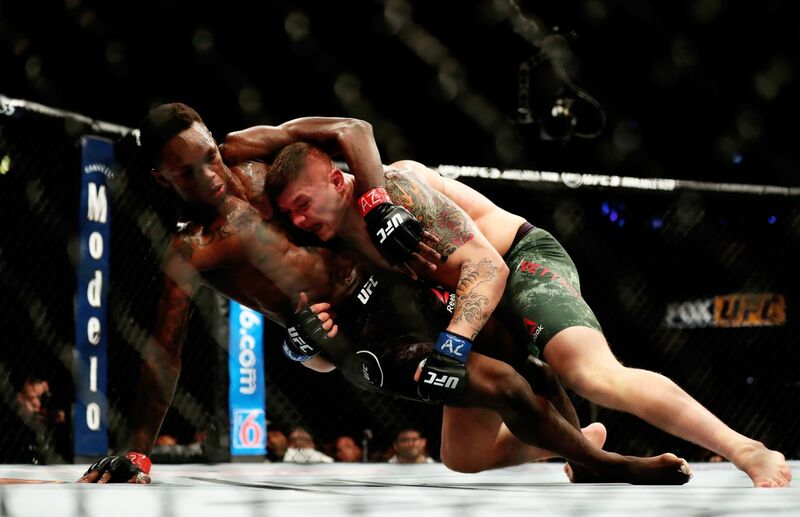 Adesanya has improved greatly since then. SalvadorAllende and A.S. Deep like this. Reign009 Not sure if serious. I think he's gotten more comfortable in the cage since then. Kelvin still drops him though. Kenny Powerth, Ronda.Jones.genetics and A.S. Deep like this. gapwax and A.S. Deep like this. Kenny Powerth and Final Say like this. I think so... I'd like to think so anyway. He is a really talented guy. Ronda.Jones.genetics and Ares Black like this. gapwax and Twink182 like this. Not only that, a teammate that Kelvin handles on a daily. The biggest issue i see for Isreal is that if he has early success in the stand up Kelvin will then take him down and beat him up. Isreal doesnt have one punch knockout power so hes gonna need to win close rounds on the feet to get a decision imo. He needs Kelvin to stay standing with him which is a dangerous plan as is. I think KG boxes with him round 1 IA has a good round but gets hurt badly once. Round 2 KG takes IA down who is now more worried about the hands and IA gets battered. In round 3 same thing happens from round 2 but this time the ref saves IA from the beating.